As of today, October 7th, 2013 Disposable Heroes will no longer be active as a band. It has been an amazing decade playing to the best fans in the world and we have loved every minute of it. I am going to be dedicating all of my time to my wife and three kids so I am not able to give what's needed to have DH continue. I want to thank all of the members of Disposable Heroes for their blood, sweat and tears. Thanks a million times over to Greg Kristianson, Kerry Pasutto, Nelson Barriga, Rick Hatch, Mike Mallais and Neil Ross for being a part of this over the years. You will all be brothers to me for life. Thanks to all the agents, promoters, managers and venues that have helped us out, it couldn't have happened without you. Thanks especially to the mighty Metallica for allowing us the honour of playing their music. Every member of Disposable Heroes is a Metallica fan first and it's been a true joy performing their incredible collection of songs. Finally, thanks to all of you who have ever come to see Disposable Heroes play. Without you this band would not have existed. It was always an amazing experience standing up on the stage playing the music that you love and getting that love back from you in the crowd. I will miss playing this songs for you guys most of all. Stay heavy friends! See you out there! GREAT crowd at this one! This show was on a Sunday, which DH doesn't generally do, but the crowd was awesome anyway! Second show with Rick and Mike! Another fun show in RD, great to be back! First show with Rick and Mike in the band! 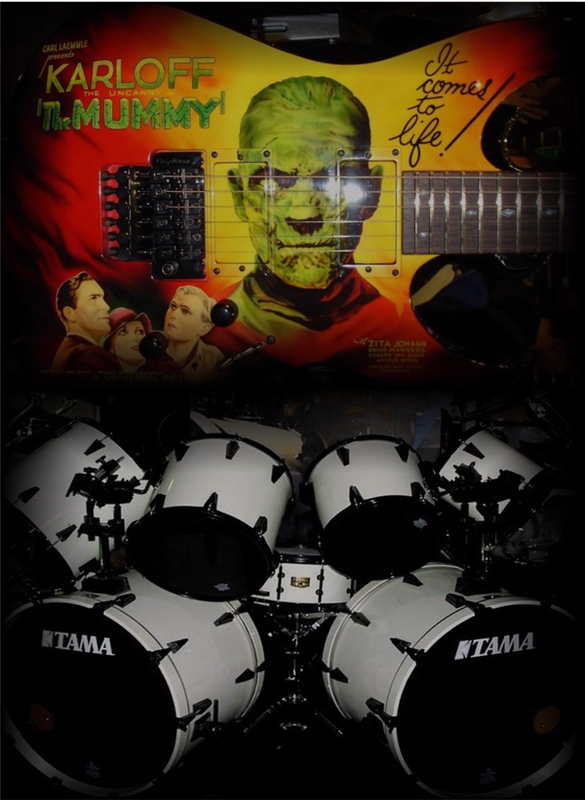 Hello Fiends!!! 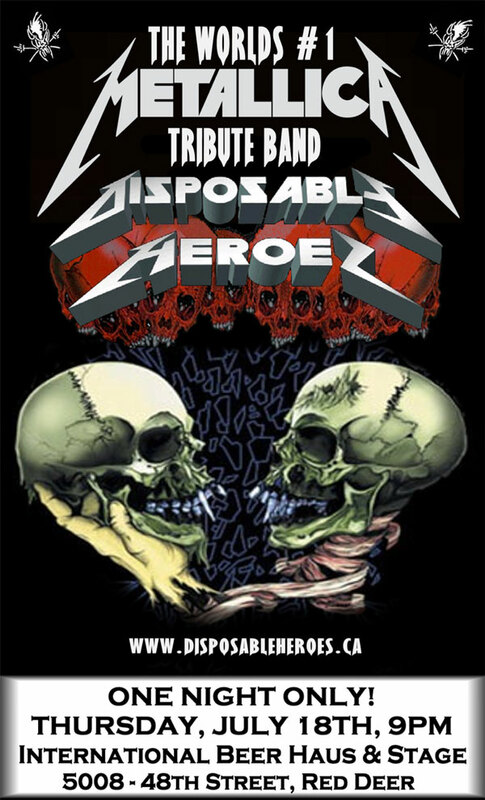 Disposable Heroes is set to kick things back into gear with their first show with the new line up!!! 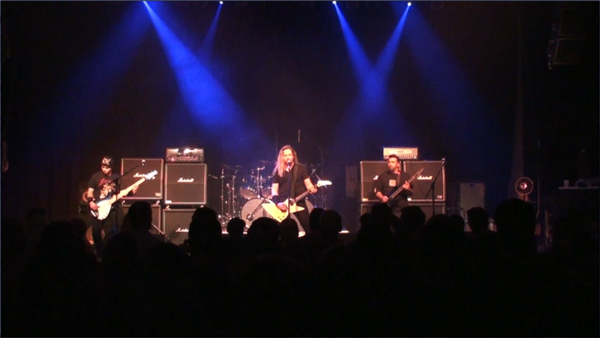 July 18th 9:00pm, Red Deer, Alberta, International Beer Haus & Stage. SEE YOU THERE!!! We are beyond excited to have these guys onboard with DH and are looking forward to getting out to do some shows in the VERY near future. 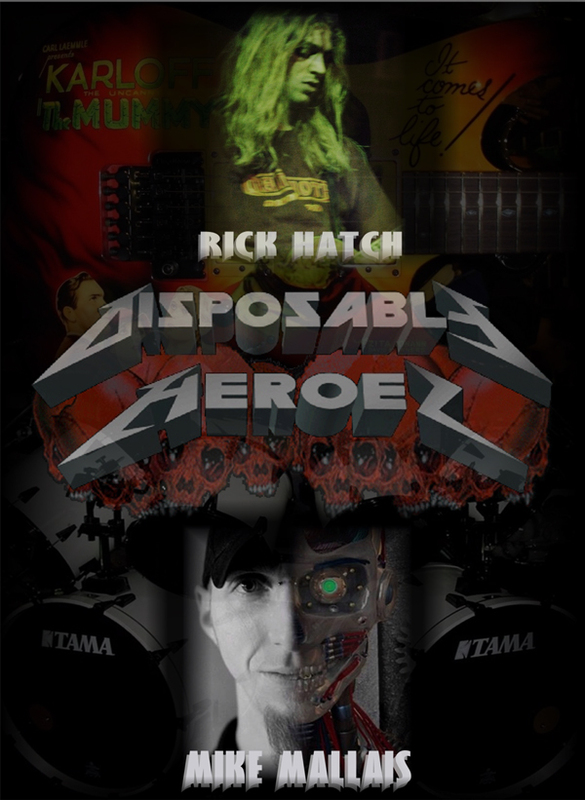 Be sure to check out Rick & Mike's bios on disposableheroes.ca!!! Howdy friends, it's been way too quiet around here. Make no mistake about it, there will be a few changes to announce in the next bit so stay tuned for that. Until then, make sure you check out a bunch of new vids in the Media section. 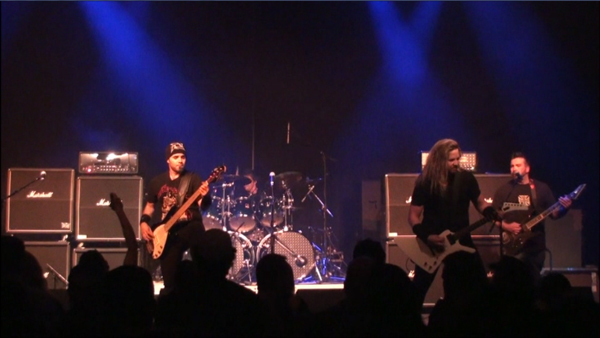 We have a bunch of video from the show in Saskatoon Sask last October so be sure to check them out!